Today I'm trying Terrapin's Sound Czech Pils, the brewery's newest year-round beer. The can depicts a turtle doing a sound check on stage in front of a huge crowd. 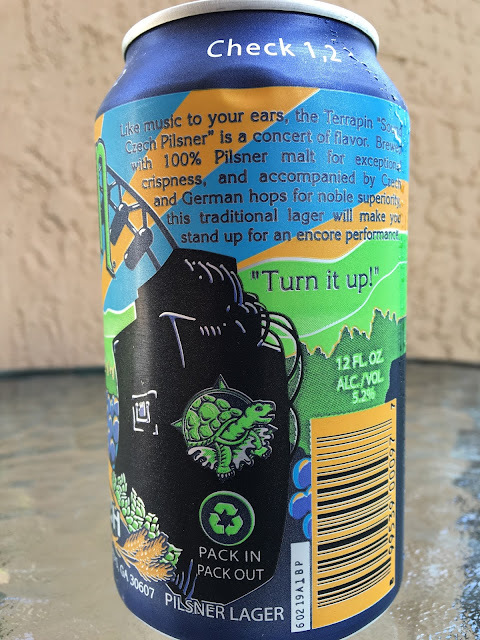 The story on the back states that this beer is "like music to your ears" and that you will expect "to stand up for an encore." 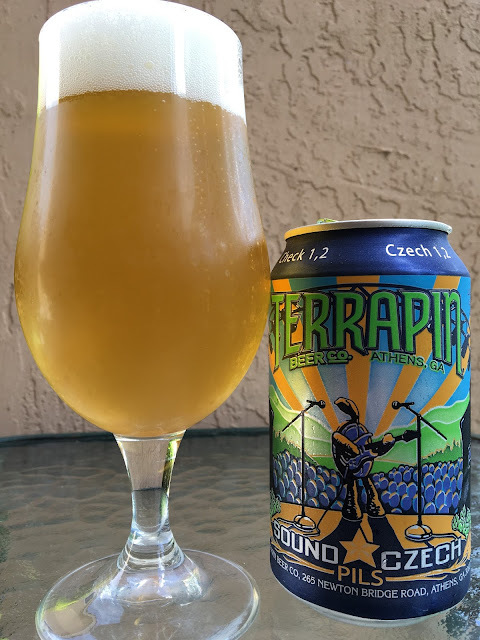 "Check 1,2 Czech 1,2" on the rim of the can. 5.2% alcohol. 42 IBU. Grainy, grassy, lemony, cracker aroma, very nice. Same grainy-sweet, toasty start, really nice and pleasant. That initial sweetness is immediately challenged with some grassy, sharp and very spicy flavors. Very nice all around, simple for sure, but I'm drinking my third "encore" right now, LOL. I'd actually like to see this even have more of a bitter answer! Czech it out!